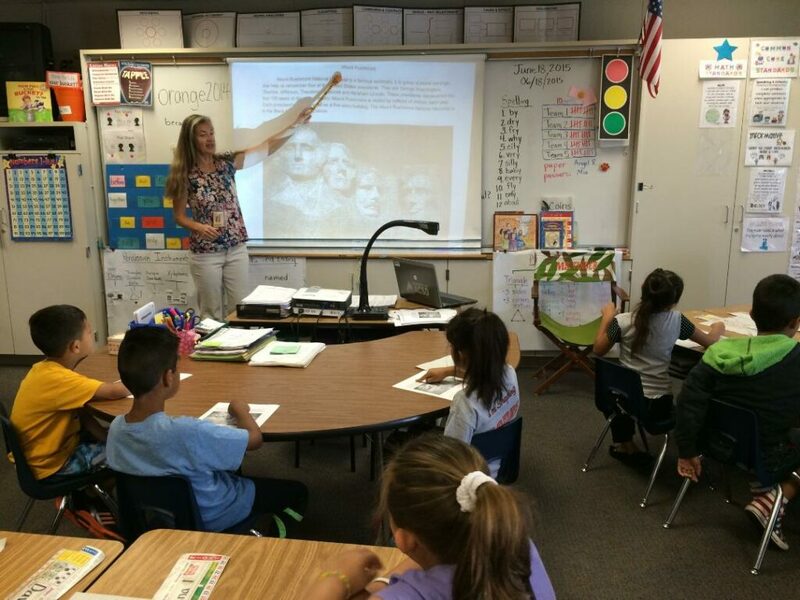 Anaheim 1st-grade teacher Elena Tinder is eager to trade ideas about Common Core teaching with her colleagues. Thousands of California teachers, who’ve spent recent years simultaneously learning and teaching the new Common Core State Standards, will share ideas about what has worked best in their classrooms at a multi-site conference on July 31. An expected 20,000 pre-K-12 teachers will lead and attend workshops on best practices they’ve discovered for teaching the new standards at the one-day event, “Better Together: California Teacher Summit.” It will be hosted at 33 college and university campuses throughout the state. Kitty Dixon, senior vice president for special projects at the New Teacher Center, a Santa Cruz-based nonprofit dedicated to improving teacher effectiveness, said the conference aims to inspire and help teachers struggling to find effective curriculum materials and best practices to help them implement the new standards. These concerns, she said, have been at the top of teachers’ lists when asked what would most help them. The New Teacher Center is organizing the summer event in collaboration with the Association of Independent California Colleges and Universities and California State University. The event will be offered at no cost to teachers, and is underwritten by a grant from the Bill & Melinda Gates Foundation. 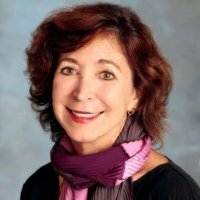 Claire Cavallaro, dean of the College of Education at Cal State Fullerton, said the event will be structured along the lines of previous one-day Edcamp conferences, where teachers have drawn up the agendas to share what has worked best in their classrooms. At the “Better Together” summit, the day will begin at each site with a keynote speech by someone who is not a teacher, such as a business leader, politician, or athlete. Afterward, teachers will break into groups focused on topics they will choose that same day. Event organizers say ideas for those workshops might include how best to organize project-based learning, how to improve spoken language in early grades, and how to help students develop more persistence. The day will also feature 10-minute “ED Talks” modeled after the popular TED Talks, with each college site choosing three teachers to talk about how they’ve been implementing the standards. Cavallaro said the organizers planned to link the sites together electronically so that attendees could instantly share their experiences, but that they hadn’t yet figured out how this would happen. Tinder added that her district began implementing the new standards three years ago, but that she has so far been frustrated by what she described as a lack of adequate coaching in the standards and an absence of effective instructional materials aligned with the Common Core. She said she looked forward to hearing how her colleagues throughout the state have coped with these challenges. For more information or to register online, visit www.cateacherssummit.com, and follow #CATeachersSummit on Twitter for the latest developments. 7th grade math position open at American Canyon Middle School, Napa Valley Unified School District. Interested parties feel free to contact me at 707-592-4256 for more information or email me at: cbataller@nvusd.org. Keynote by a business person everyday before collaborating with peer “coaches” on CCSS? Sounds like a great educator death trap. The CC$$ should not be legitimized by classroom teachers. I would go to protest this Gates-funded event but that’s about it! Anything for high school math? It would be excellent if you could maybe ‘you tube’ anything dealing with high schools trying to implement common core math. Here in Rhode Island, each district is doing its own thing trying to get federal monies. As we have tried to implement common core, the K-12 supervisor of our district split the cc standards into algebra1, geometry, algebra 2, and precalculus. I am a precalculus teacher, as well as alg1, geo, or alg 2-depending on my schedule; and I can’t even describe how unprepared new students are who have been placed in precalculus. I understand that it may take time. I’m doing my best, but would love to have access to others who are dealing with this issue. BTW, I’ve been teaching math at the middle school, high school, and community college level since 1986. I’ve been at the same high school for 15 years. I’ve seen the difference between long ago math students, and the students I’ve been dealing with for the last 5 years…the difference is disturbing. When students are doomed to learn by discovery, fill in the blanks workbooks, and collaboration, the curriculum does not get covered due to time constraints, and from all the disturbances from ‘testing’, ( my district uses Star). I’ve actually have had above average students tell me that they do not want to work in groups, because they say, “i do all the work. or nothing gets done”. It is not the fault of the students, but it is the fault of those who don’t teach, and who have the power to tell us what to do. We are still getting information about who will be speaking about what at each site. Eric Lewis from SFUSD will speak at SFSU about opportunities for science teachers to emphasize Common Core math and ELA in their classrooms. Allison Carey from the Orange County Dept. of Ed. will speak at CSU Fullerton about what the standards have done for her students in grades 8-12. And Desiree Olivas, a Garfield Elementary 3rd grade teacher, will speak at CSU Fullerton about teaching primary math. Also, some EdCamp sessions could focus on high school math. But since the teachers decide what to discuss during the event, it will be difficult to know ahead of time where HS math will be discussed.